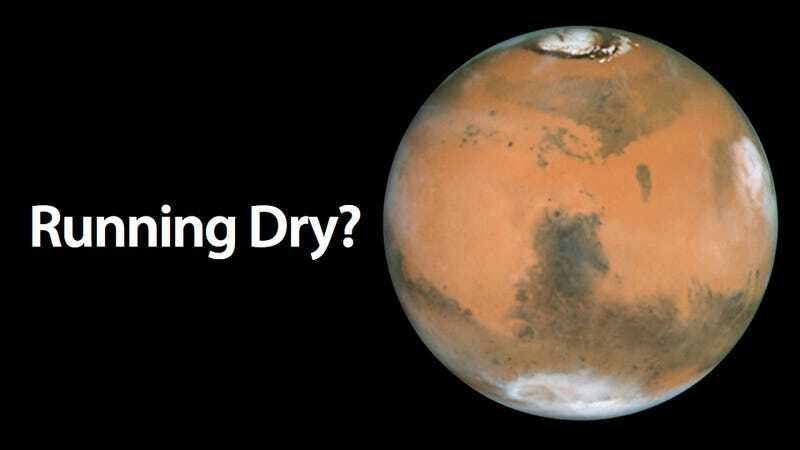 There's plenty of science suggesting Mars was once home to water. But new research suggests that much of the evidence, in the form of clay, could have come from lava and not lakes—and that would decrease the chance of life having existed on the red planet. Previously, scientists have assumed that layers of clay found on Mars formed either by soil interacting with standing water or from water bubbling up from hydrothermal vents. Either way, the presence of moisture prompted researchers to suggest that life on Mars was a definite possibility. But new analysis of meteorites suggests that the clays could have formed when water-rich lava cooled. To establish that, researchers from the University of Poitiers in France compared Martian minerals to those formed from cooling lava at the Mururoa Atoll in French Polynesia. The two match up nicely. Adding weight to the new theory is the fact that the layers of clay on Mars are hundreds of meters thick, so they're more likely to have been formed from lava flows and not soil interacting with water. The research is published in Nature Geoscience.